Eggs to Apples in Hurst Green was named the Sussex Newcomer of the Year as the Sussex Food & Drink Awards marked its tenth birthday with ten of Sussex’s top food and drink producers hailed as local heroes. Hosted by awards patron, Sally Gunnell OBE DL and Danny Pike of BBC Sussex, the glittering black tie ceremony, dubbed ‘the Sussex foodie event of the year’, brought together almost 400 leaders in the food, drink and farming industry to celebrate the crème de la crème of Sussex food and drink producers. The awards are all about supporting and boosting local farmers, food and drink producers and the outlets that use and sell superb local fare. 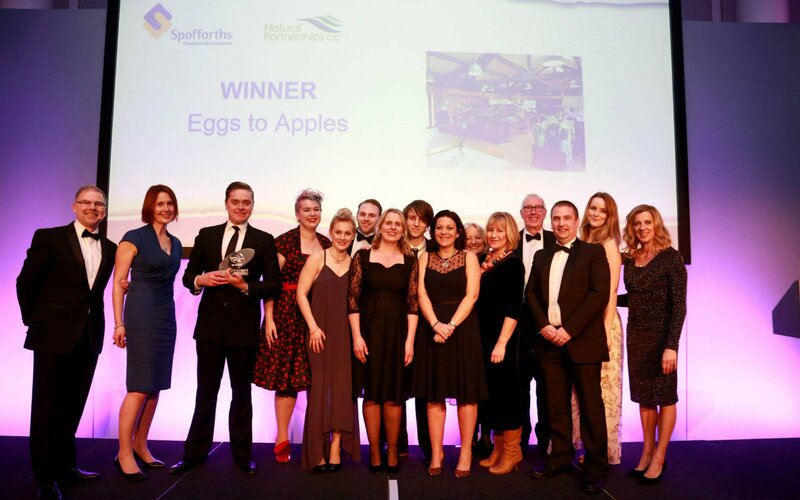 Eggs to Apples opened just over a year ago but its principles of quality, traceability and affordability underpinned by exemplary customer service by informed staff shone through, allowing it to beat off stiff competition to win the Best Newcomer accolade. Susannah and Craig Hewett, the couple behind Eggs to Apples, mark the third generation of the Barnes family to run a farm shop in the village. Eggs to Apples is built on the site of the original Lodge Farm Shop started by Susannah’s father and grandfather in 1972. 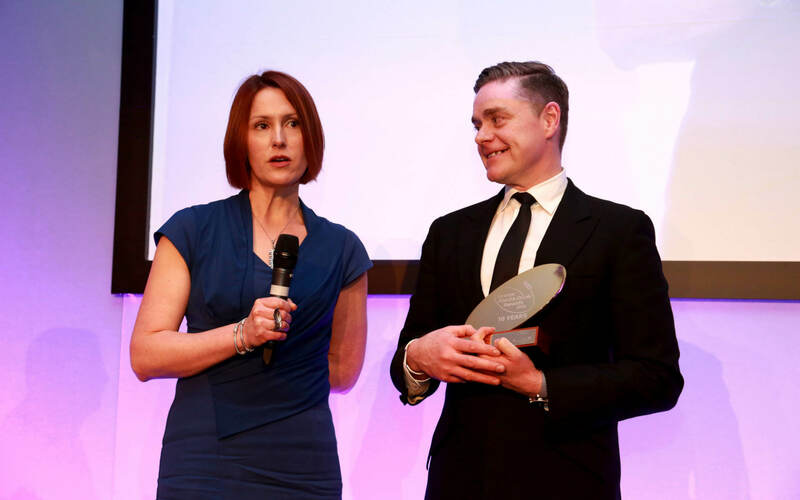 “We were thoroughly delighted to be named as a finalist. As a new business, a lot of time, effort and resource goes into to building a strong customer base and it’s very reassuring to know that we are on the right track. It’s also great for our team to be part of this who have worked equally as hard as ourselves in building a customer driven business. We are very lucky to have truly wonderful customers and suppliers who have supported us along the way and we like to give them a big thank you,” Craig says. The award paves the way for further development of the business including plans to introduce new products to the Eggs to Apples range and to concentrate on new healthy food options as well as free from products. “We have recently been granted planning permission to provide a outside seated area for customers so that they can enjoy beautiful views of the Weald. With that, we will be expanding our eat-in food menu to include additional breakfast and lunch items,” Susannah adds.